Update, June 13: Netflix has confirmed that a Telltale Stranger Things game is in the works. The representative also stated that “the Stranger Things project is launching on the Telltale platform at a later date,” as part of Netflix’s title promotion efforts. Sources speaking to TechRadar state that the Netflix version of Minecraft: Story Mode will be delivered through video files. Players will be able to control the game with any remote control device equipped with directional and select buttons, which will allow them to select dialogue options. Battle sequences will reportedly be cut from the adapted games. Check out or list for some great free PC games. TechRadar’s sources also suggests that a series adapted from Netflix’s sci-fi original Stranger Things was also in the works at Telltale. 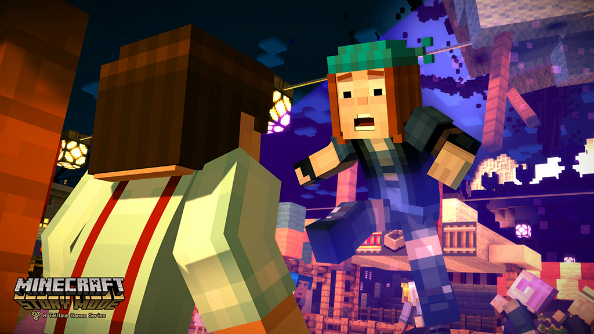 In a statement given to TechRadar, Netflix suggests that while Minecraft: Story Mode will be the first game to launch on the platform “in an adapted form,” Stranger Things will not be an interactive experience through Netflix, but will be a brand-new Telltale series.